According to human rights investigations by Inclusive Development International, 91 of Asia’s filthiest power plants that escalate the worsening of climate change and deforestation are still provided by the international financial institution despite ending its duty to fund the coal- fired power plants in 201. However, 41 coal projects still receive support from the investments funds of its private sector, International Finance Corporation (IFC). WB President Jim Yong Kim has spoken in a press conference that if this practice will continue, we are in big trouble yet the bank still invest to coal based plants that cause damages to the environment. Kate Geary, a Forest Campaign Manager said that this shocking report is creating a double trouble for the climate as it not just not only funds the coal powered plants but also denuding the forest. It also clear that the private sector sabotaged President Kim’s commitment for a better climate. Frederick Jones, a spokesperson for IFC, answered the questions by Association of Financial Professionals (AFP) that the global lender examines it too earnestly. He also revealed that the corporation did not invest in coal-powered plants to have clean energy but rather for renewable energy since 2005 where they invested $15 billion and also prepared $10 billion more for other areas. However, IFC reportedly had a 1360 Megawatt power station at Bangladesh in a mangrove forest where the livelihood of 2 million people came from it and is the home of several endangered species. There is also a report that coal-powered construction in the Philippines resulted to almost a thousand premature deaths and 30 environmental idealists in 2015 alone. 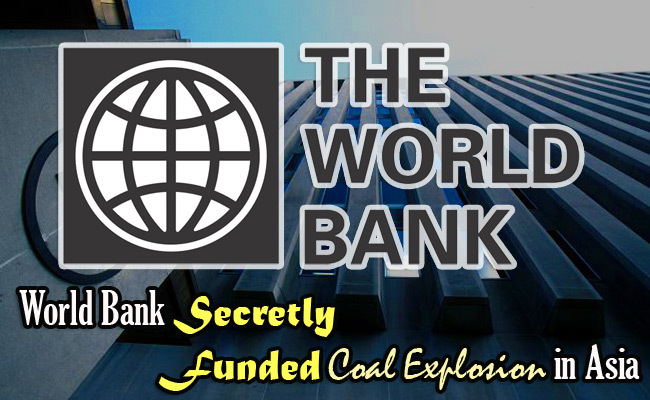 IFC also invested 20 coal projects in 2013. David Pred, a managing director of IDI, released a statement that even though IFC is trying to avoid from these projects that was invested by its sector, it still disobeyed the proper environmental requirements.